Traditional sandbox titles allow players to roam the in-game world at will. Unlike procedurally generated universes such as those found in Minecraft and No Man’s Sky, traditional sandboxes like Grand Theft Auto V employ boundaries meant to keep gamers within the confines of the map. Large bodies of water and impassable mountains are a common sign that you’ve reached the edge of the playable region. Invisible walls are also a regular occurrence at the perimeter of a map but for the curious among us, these road blocks are little more than hurdles hampering further exploration. Red Dead Redemption 2, Rockstar’s latest sandbox, is no exception. South of the border in an area that can’t be accessed is Mexico. 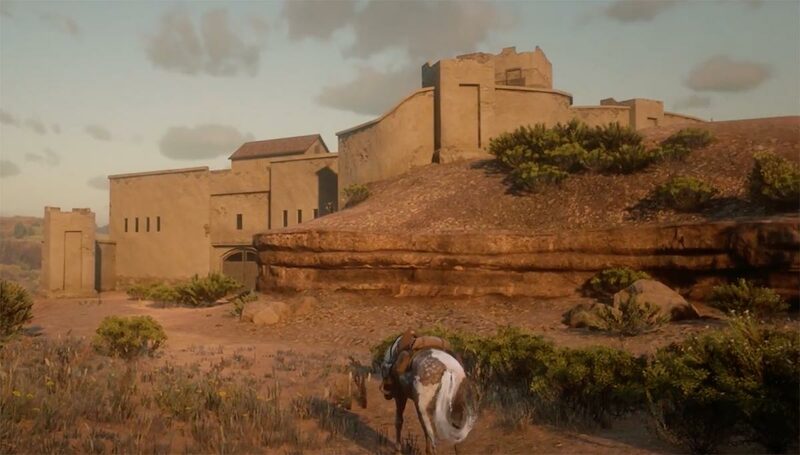 The region is visible from multiple vantage points along the southern border and you can even see El Presidio, a fort featured in the original game. YouTuber ZacCoxTV recently discovered a way to breach Mexico’s border and even made his way to El Presidio. The area is more detailed than one might expect for background scenery, perhaps suggesting Rockstar may be planning to use the area in a future expansion or as part of Red Dead Online. Trump, where is your wall now, HU?